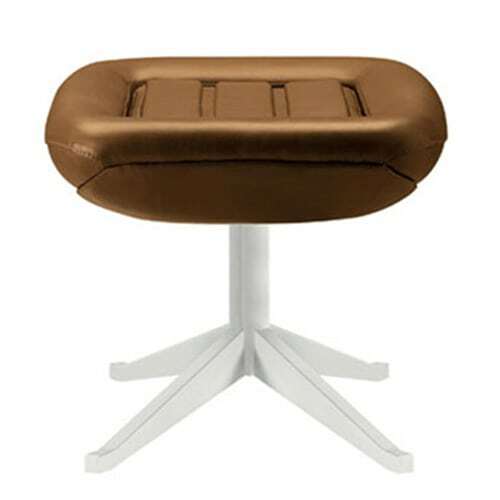 Pouf with load-bearing frame made from compact polyurethane molded together with foamed polyurethane base featuring 4 spokes in die-cast aluminium. Upholstered with leather. Do you have a question about "Manzù"? How can we contact you?